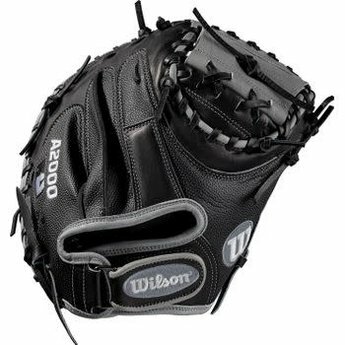 The 34" Wilson A2000 1790 SS takes the most popular MLB catcher's mitt pattern and adds Black SuperSkin for a light, long-lasting glove with a great break-in. 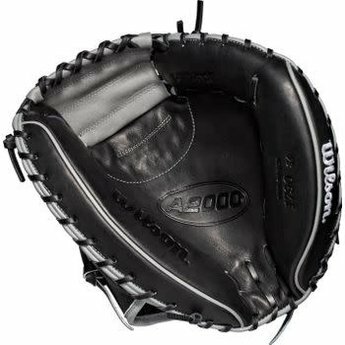 The 34" Wilson A2000 1790 SS takes the most popular MLB catcher's mitt pattern and adds Black SuperSkin for a light, long-lasting glove with a great break-in. This model features an extended palm to reduce rebound as well as a wider web and stiffer thumb. 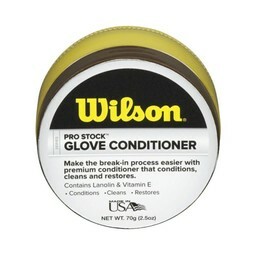 A Dri-Lex wrist lining helps move moisture away from your skin to keep you cool and comfortable through every inning. Constantly improving patterns. Materials that perform. Dependable construction. 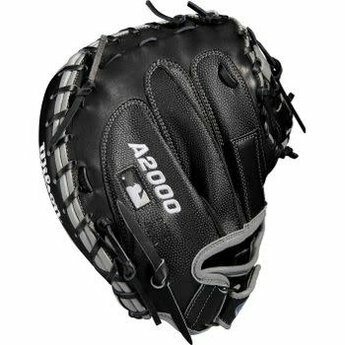 The evolution of the A2000 baseball glove has been driven by insights from the Wilson Advisory Staff. This is why hard working players love its unmatched feel, rugged durability and perfect break-in. 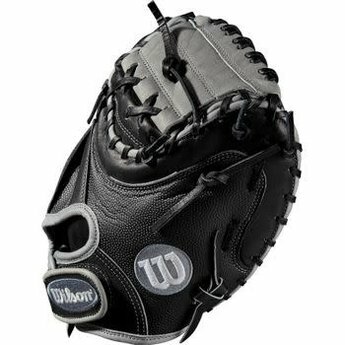 Made specifically for Wilson ball gloves, this American Steerhide is preferred by professional players for its rugged durability and an unmatched feel. Two strips of leather placed along each finger back create a durable pocket and a long lasting break-in. Exclusive hand designed patterns continuously improved by Aso-san and the Wilson Advisory Staff. Ultra-breathable wrist lining transfers moisture from the skin, keeping the hand cool and dry. Offers a softer, more comfortable feel while giving greater finger protection in the field.